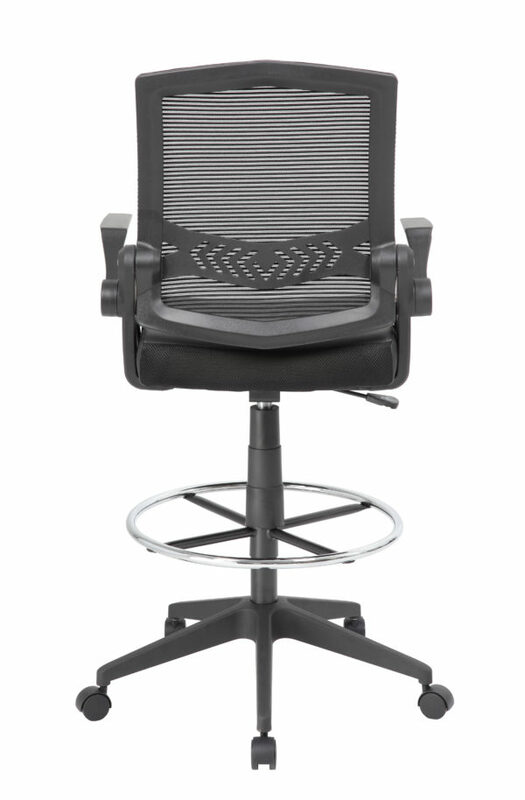 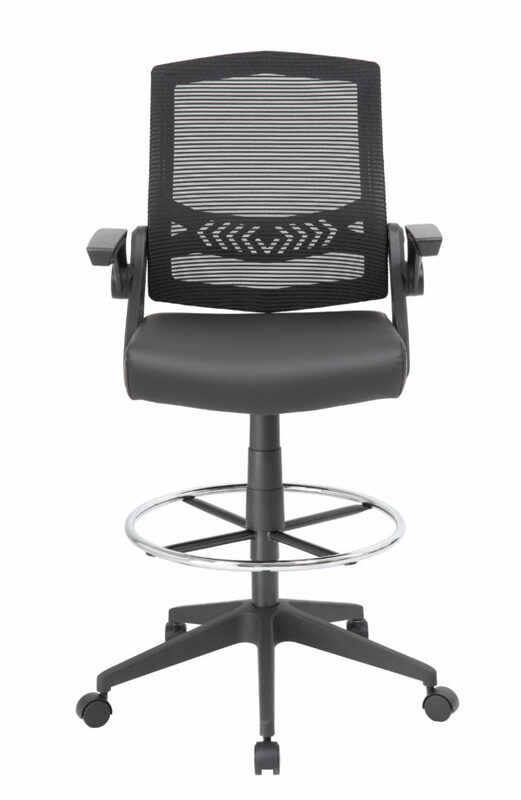 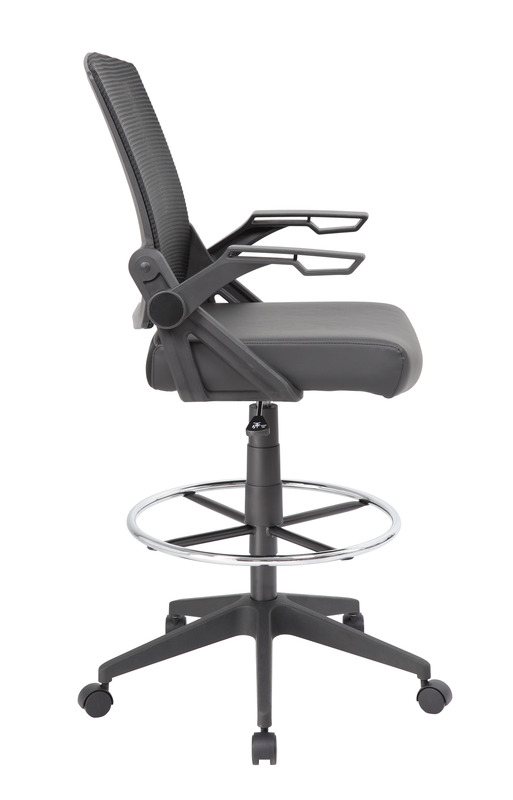 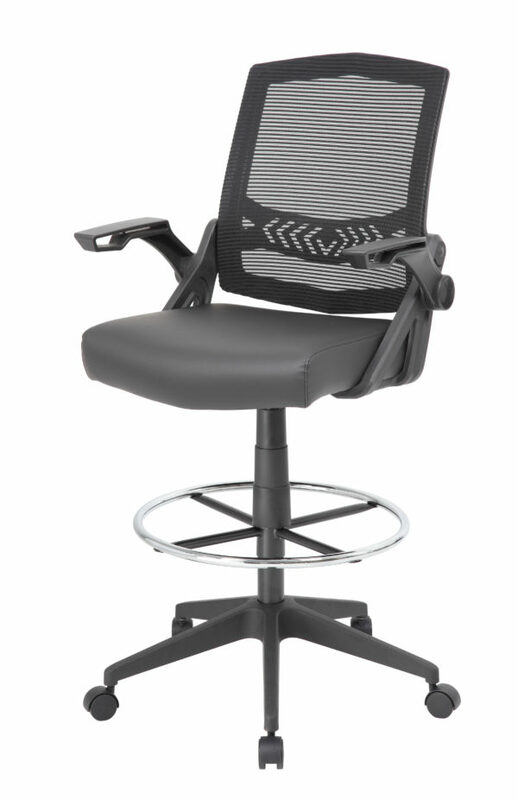 The flip arm drafting stool comes in sleek black and features a luxurious seat and breathable mesh back that helps to distribute weight evenly, and provide back support by conforming to each individual’s back shape. 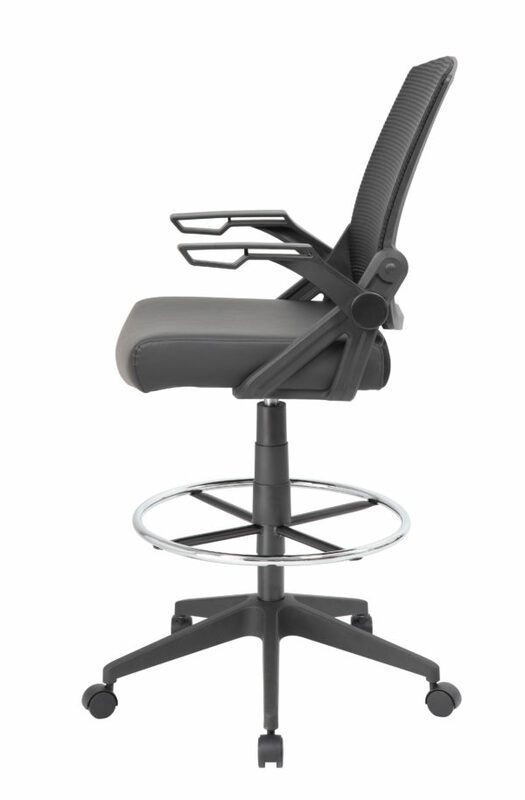 With a weight limit of 275 lbs. 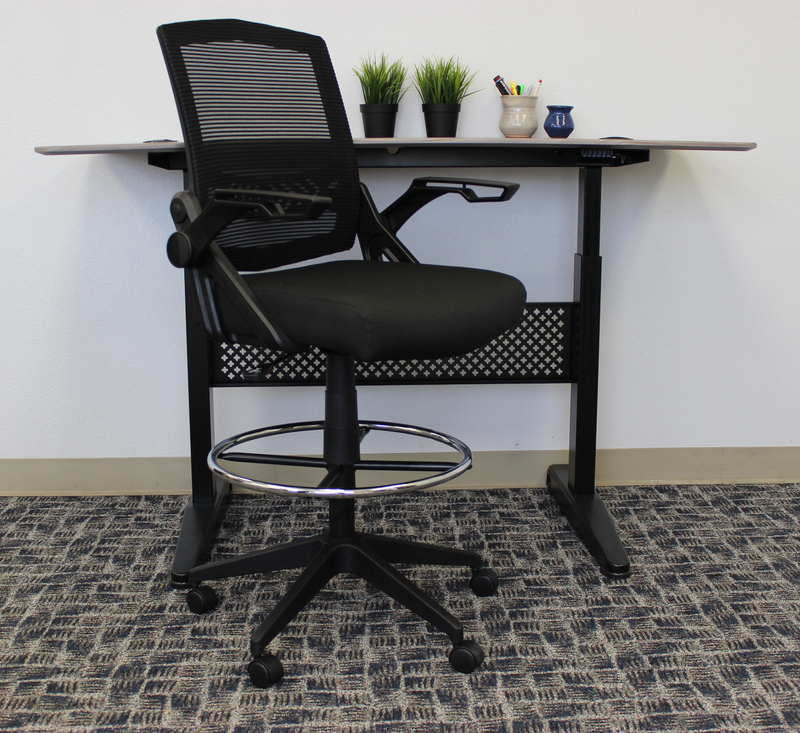 the stool is a very versatile, comfortable seating option for most any office or studio and provides a pneumatic gas lift mechanism for adjustable height options. 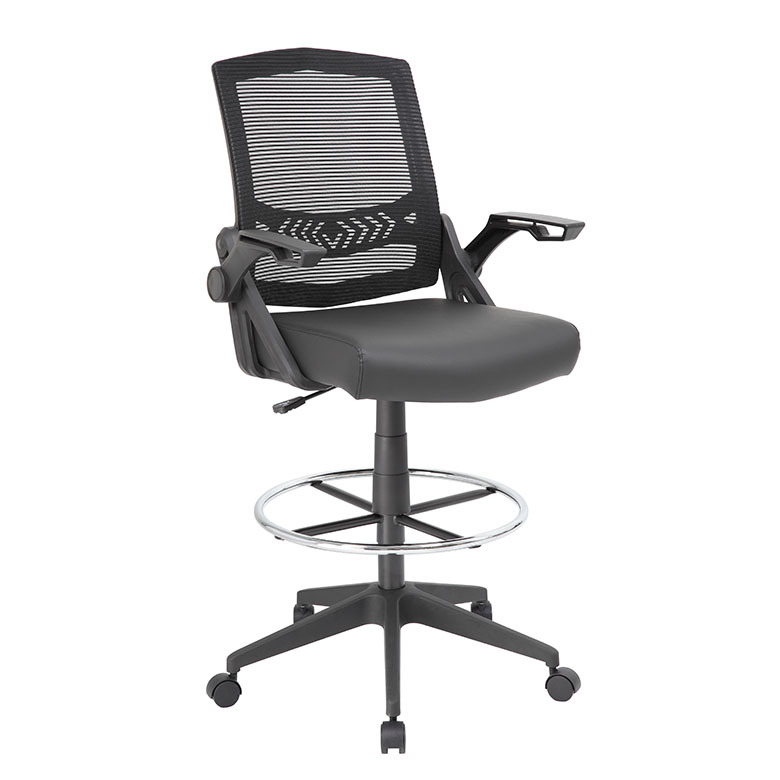 The stool also features adjustable, flip arms for maximum comfort and a sturdy 27 inch nylon base with 2 inch nylon dual wheel castors for a smooth roll.